Its just so well done! I have got a great ECG post to put up this weekend, but until I get that done here is a quickie! 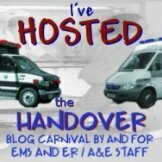 You may have seen this clip on some of the other EMS blogs. I have noticed it on at least three so far and to be honest, just didn’t get round to watching it and seeing what all the fuss was about………Then I watched it. It really is incredibly well done. It was produced by Gwent Police in Wales as a Public Service announcement and has now been seen throughout the world. It is quite shocking so be warned. Anyway, If you haven’t seen it, have a look and let me know what you think. It sets a high standard for the realism medical dramas on TV should have. I think it is very well done, and hopefully will cause folks to stop and think before they start doing other things while driving. It’s all too easy to happen. A stunning video, both in content and technical execution. How do I download it to DVD? I’d like to use it as a safety video at work.